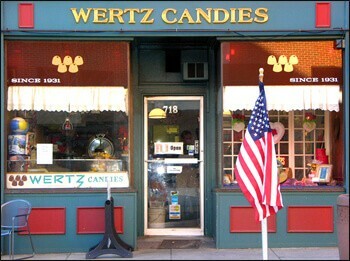 Wertz Candies is located in beautiful downtown Lebanon. The Wertz family has been making candy in much the same way since the company was founded in 1931. Our candies are handmade using fresh ingredients according to time-tested formulations which have been handed down through generations.